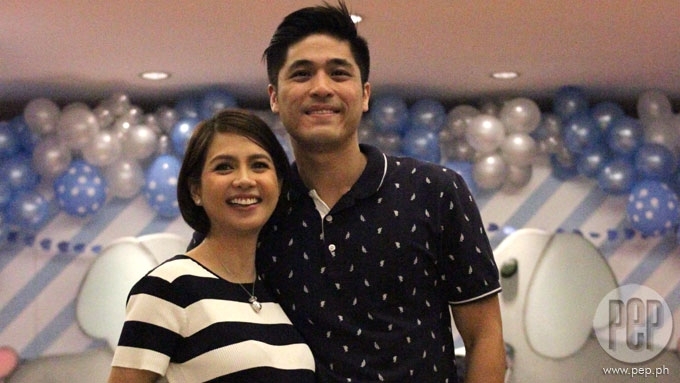 Kaye Abad and husband Paul Jake Castillo's first family photo with their son Baby Joaquin. ABS-CBN actress Kaye Abad is now a mommy. 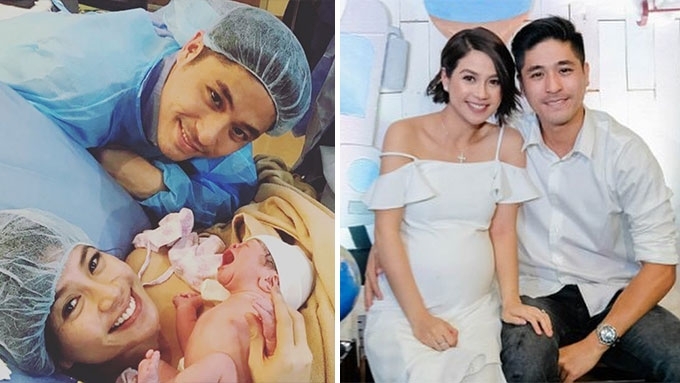 The 35-year-old actress welcomed her son early today, December 22, which also happens to be her husband Paul Jake Castillo's birthday. Kaye updated her Instagram followers with their first family photo after her successful delivery at an undisclosed hospital in Manila. The actress's Instagram caption read: "Happy birthday daddy and happy birthday joaquin! #pjc 12-22"
For his part, Paul Jake expressed how thankful he is to be welcoming his son 33 years after he was born. On Instagram, he wrote, "Couldn’t have asked for anything else on my birthday!!! Thanks my love for the best birthday gift!!! Joaquin!!! Another chapter in life.... my ironborn!!! #daddy #family #pjc #piojoaquin #1222"
In a previous interview with PEP.ph (Philippine Entertainment Portal), Paul Jake predicted that Kaye would be giving birth on his birthday. Laughing, he said, "Feeling ko December 22. Babaguhin na rin birthday niya, e, para isahan na." 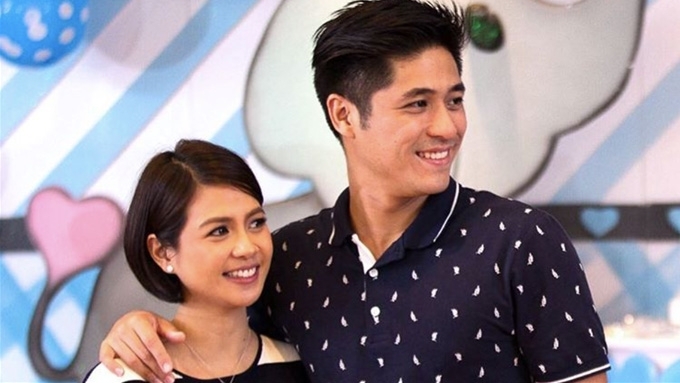 Kaye first announced her pregnancy last July 13, six months after her grand wedding with Paul Jake in December 2016. 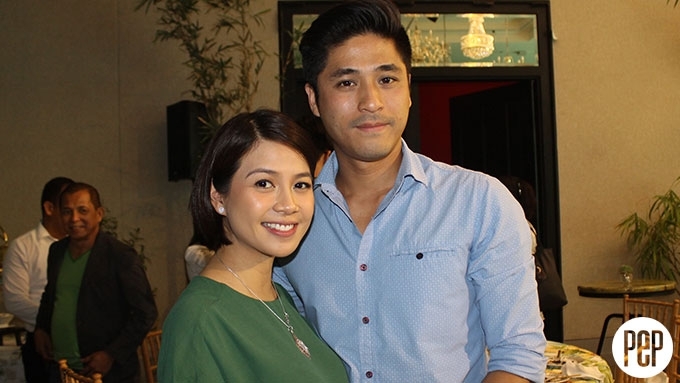 Kaye Abad flaunts "totoong baby bump"